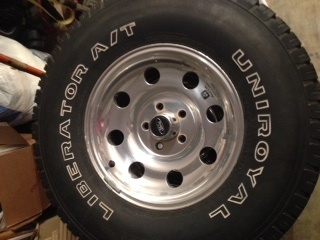 I'm selling 4 15x7 Alcoa wheels and 31x10.50 Uniroyal Liberators off off my 2007 Fx4 Level ii. 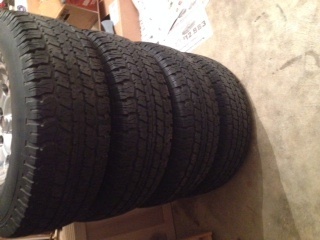 I finally put a superlift and some new wheels and tires on it so I no longer need these. I've had no problems with them at all. They ride very smooth and the wheels are super light. Minimal and regular wear but all in very good condition. 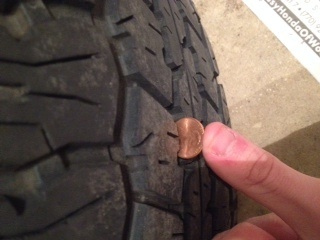 Tires still have good tread on them are just beginning to show wear but are all even. Regularly rotated. I'm located right outside of Atlanta. $750 OBO takes all 4. Any questions feel free to ask! I have no use for the tires, but interested in the wheels. Are there any scratches, or worse. Can you take some higher res. pics? Can you ship to Montana?